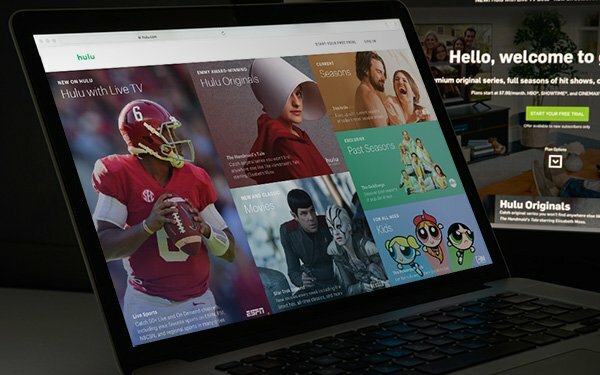 Hulu, the over-the-top streaming video service owned by Comcast, 21st Century Fox, The Walt Disney Company and Time Warner, is at an inflection point. The company, which now has more than 17 million subscribers in the U.S., lost approximately $920 million last year, according to SEC filings from its owners, and received $1 billion in investments from its corporate parents. Both of those numbers were up significantly from 2016, when the company received $733 million, and lost $531 million. Despite those losses, Hulu is embarking on two of its most ambitious and challenging projects yet: launching its “skinny bundle” of cable channels, called Hulu Live TV, and beefing up its original programming to try and take on Netflix more aggressively. Still, with Netflix poised to spend more than $8 billion on content this year, and potentially $10 billion next year, Hulu’s $2.5 billion content budget seems modest by comparison, even as it would make the service one of the biggest spenders among TV channels. Hulu Live TV is available now, though by most estimates it is far behind DirecTV Now and Sling TV in terms of subscribers (both of those services, of course, are owned by large distributors, and Sling has been on the market for two years, giving it a head start). On his company’s last quarterly earnings call, 21st Century Fox CEO James Murdoch said t the company now counted more than four million subscribers to streaming bundles. With Sling counting more than two million subscribers, and DirecTV Now with one million, Hulu, YouTube and companies like Philo and FuboTV are splitting the rest of the market for now. Hulu is also taking a different approach from Netflix by embracing advertising. While the company does have an ad-free offering, its base price includes ads, while its streaming channel bundle includes traditional commercial breaks. Murdoch touted Hulu’s advertising prowess as a potential driver of revenue down the line. “[Having a] nonlinear, data-driven advertising platform sitting underneath [a linear sports broadcast] and being able to monetize that audience is hugely attractive. And we see that starting to bear fruit, but it's still not an enormous part of the audience that's consuming a linear product on digital streaming platforms,” Murdoch said. “We certainly see that, for example, in the Hulu streams, where we just have dramatically better monetization on Hulu owned-and-operated apps than we do, for example, on the traditional MVPD distribution." Of course, by spending so much money so quickly, Hulu is also under scrutiny, particularly as Disney’s quest to buy Fox continues to play out. Would Disney continue the rate of investment if it gains operational control of Hulu from the Fox deal? BTIG media analyst Richard Greenfield warns investors in a note that they should push for more transparency from the parent companies as it related to Hulu. We may know that Hulu’s investments are in content and new products, but exactly how and where that money is being spent remains something of a mystery. “When Hulu’s losses and parent-company investment were relatively small, its ability to skew financials at its parent companies was modest. However, now we know, via Disney, that Hulu’s losses will increase dramatically in 2018, with Hulu’s parent companies set to invest $1.5 billion in 2018 (the most in Hulu’s history),” Greenfield wrote.